Late last year we did a lot of work on our garden and put in some new plants. To help them flourish and keep the soil moist, we placed a layer of mulch around them. Now every day, the local blackbirds can be seen hopping and scratching around them, looking for insects and worms to eat. They are relentless in their search, not waiting for the bugs to appear, but seeking actively for them under the surface of the mulch. As I pondered these persistent little birds, I couldn’t help but wonder how many opportunities we missed because we were waiting for them to jump out at us. 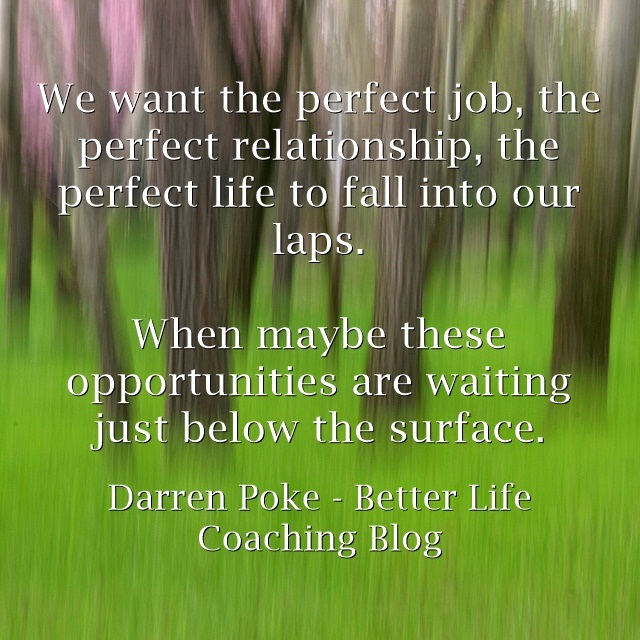 We want the perfect job, the perfect relationship, the perfect life to fall into our laps. When maybe these opportunities are waiting just below the surface. And so we need to dig, to search, to scratch around. If you do so, you’ll find what you’re looking for in the end.